The devastating earthquake and continuous aftershocks increased the number of psychosocial problems among a huge population of earthquake affected areas, where FSCN is working. The rate of disturbed and restless population was high. The children could not concentrate in their studies and many people especially elderly were suffering from anxiety. Considering such situation, FSCN started school/community based psychosocial support program and mainstreaming it with the relief support and other programs. 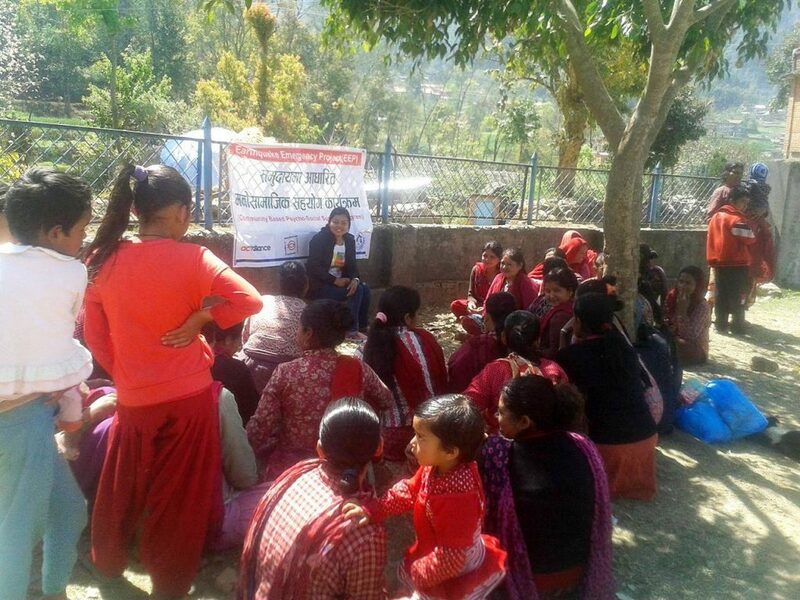 In order to conduct individual and group psychosocial support programs, safe homes for psychosocial support were established in 6 different places of Lalitpur (Lamatar, Lubhu, Siddhipur & Bungmati) and Bhaktapur (Saraswatikhel & Nekosera. These safe homes are presently being used as multi-purpose program venues for conducting various community based programs like meetings, trainings, awareness programs, FGD’s, recreational activities for youth, women and children etc.